Following yesterday’s release of an 8GB model of the iPhone 5c in the UK, France, Germany, Australia and China, an Apple representative speaking to Re/code has said that a lower cost iPhone 5c should help the company take advantage of the growing market for mid-range smartphones. “The mid-tier iPhone segment is growing year over year and the 8GB model provides a more affordable option for markets where LTE is becoming more established,” an Apple representative told Re/code. The iPhone 5c, unlike the iPhone 4s, which is also still sold, supports LTE networks. 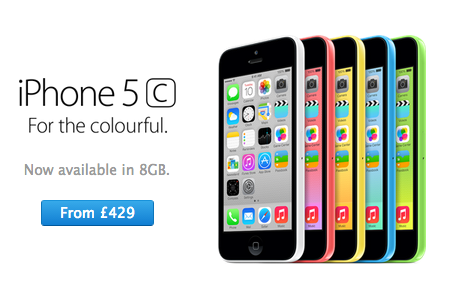 Apple is now offering the unlocked 8GB iPhone 5c for approximately $70 less than the 16GB model in select countries. 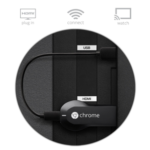 The colourful device has so far not sold as well as Apple had originally estimated. The company also admitted the fact in its last earnings call, noting that market demand is tilted more toward its higher-end iPhone 5s. Apple has not yet listed the 8GB iPhone 5c for sale in the U.S. or Canada, probably because the handset is already being sold subsdized in the region, starting at $99 with a new two-year contract.